If your car won’t start, but the lights and radio work, then you could be dealing with one of several potential problems, up to and including a dead battery. The reason that you can have a situation where the radio, dash lights, headlights, and other electronics seem to work fine, while the engine stubbornly refuses to turn over, relates to the amount of current that each of these devices requires. Headlights, your car radio, and most of the electronics in your car draw very little amperage, while a starter can dump a 300-amp drain on the battery all at once. In fact, you can also run into a situation where the lights will work, but the radio will stop working due to the dead battery, and other even stranger combinations. So while your problem isn’t necessarily the battery, it definitely could be. The most likely culprits are a blown fuse or fusible link, bad starter, bad ignition switch, or a dead car battery. The easiest one to rule out is the battery, which is why it’s a good place to start. If the battery tests low with a hydrometer, or it fails a load test, then it needs to be charged. If it accepts a charge, and the vehicle starts after it has been charged, then the problem is solved. How Can a Radio and Lights Work With a Dead Battery? A car won’t start, despite accessories like lights and the radio working, because the starter requires more amperage. 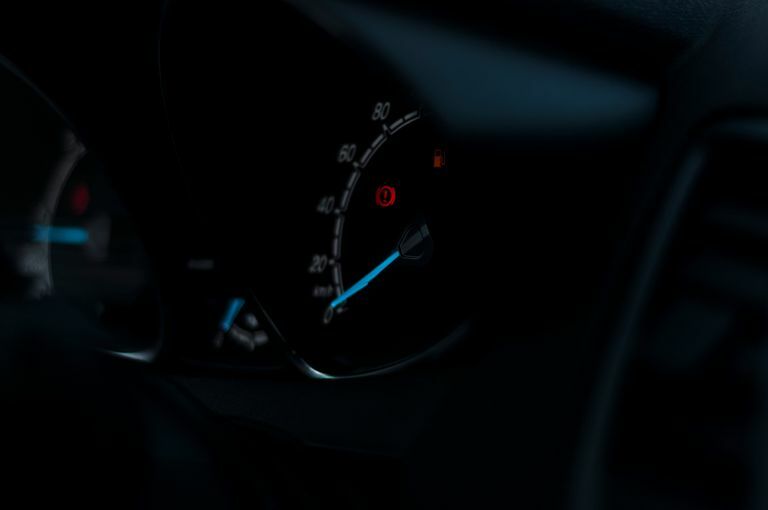 Lights will operate with very little amperage, even less than they are designed to draw, although they may look dim or flicker when you attempt to crank the engine. Radios also draw very little power compared to starter motors, which can require upwards of 300 amps to turn over. In fact, this requirement for massive amounts of on-demand current is the reason that lead-acid car batteries are designed the way that they are. Although automotive battery technology isn’t terribly efficient, or even modern, the cells in car batteries are laid out in such a way as to provide the maximum amount of on-demand amperage. If a car battery has enough juice to run the radio or allow the lights to dimly illuminate the lights, you cannot conclude that it's up to the task of powering a starter motor. Although the scale is entirely different, think about the AA or AAA batteries that you use in devices like, for instance, a flashlight, a remote control car, and a television remote. The same set of batteries may illuminate the flashlight very dimly, fail to work at all in the remote control car, and operate the television remote just fine because each device has different absolute requirements in terms of how much power they have to draw from the batteries to work effectively. If the battery tests good with a hydrometer or passes a load test, then the problem lies elsewhere. For example, the starter motor relay or starter motor itself could have failed. It’s also possible that a fuse or fusible link could have blown, which would prevent power from reaching the starter relay or solenoid. To test it, first see if any fuses are blown, and then check for power at the relay and starter motor. Another thing that can prevent an engine from turning over, while allowing accessories like the radio and headlights to work, is the ignition switch. This isn’t the mechanical part that you put your key into, but the electrical switch that the mechanical part operates. In some cases, you can run into a situation where the ignition switch will fail in such a way that it will provide power to accessories but not start the engine. Depending on the particular vehicle, there are a number of other conditions that can cause more or less the same problem. For example, a bad clutch pedal position sensor in a manual-transmission vehicle will prevent the engine from turning over while allowing the electronics to work just fine. The purpose of this sensor is to only allow the vehicle to start when the clutch pedal is depressed, so if it fails, you aren’t going anywhere. When a car won’t start, but the electronics to work, sometimes the problem actually is the starter motor. Starter motors often make clicking noises when they fail to work, but that’s far from a concrete rule. Sometimes starter motors die a silent death, and you won’t hear anything at all when your engine fails to crank over. If a starter is getting power, one old trick is to tap on the housing with a hammer, socket extension, or another metal object, while someone else attempts to start the vehicle. This can be dangerous, depending on where the starter is located; avoid getting clothing, hair, or anything else caught in the engine, or the vehicle rolling over on top of you if you go in from underneath. However, if the engine does turn over, it means that the starter needs to be rebuilt or replaced. As counter-intuitive as it may seem, an engine that won’t start often is the fault of the battery, even if the lights, radio, and other electronics seem to work just fine. While it isn’t a good idea to just assume the battery is the problem and put a new one in without doing any diagnostic work, a dead battery — or especially a battery that won’t accept a charge — is definitely capable of causing a no-start condition where the lights and radio continue to work to some degree.